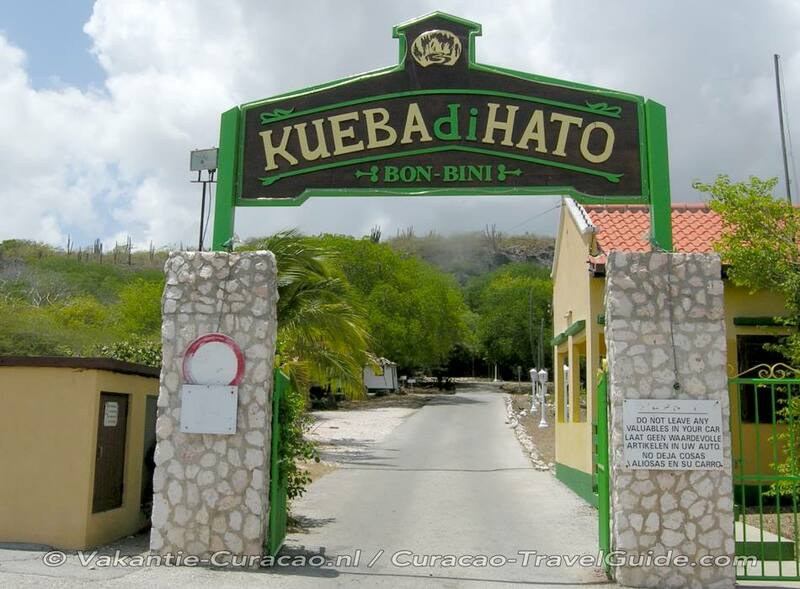 These caves had a utilitarian purpose during the early days of the slave trade in Curacao, escaped slaves used them as hiding places, and lived in them for months at a time. 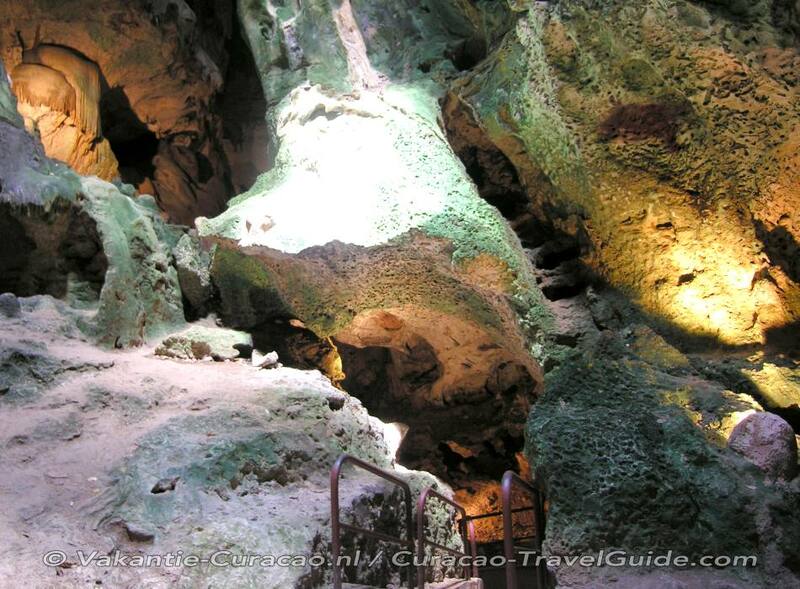 Even before the arrival of Europeans and slaves, the Amerindian Arawaks used them for shelter, and left behind cave drawings, or petroglyphs, estimated at 1,500 years old. Guides will take you through the caves. 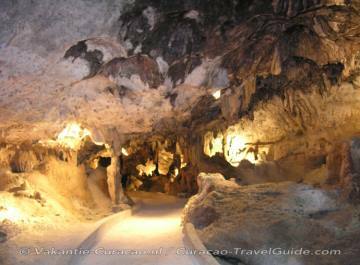 They'll point out the apocryphal and fanciful stories behind some of the stalactites and stalagmites; in the eerie lighting, some take on shapes and are called the Pirate's Head, the Sea Tortoise, and the Giant of Jack and the Beanstalk fame. 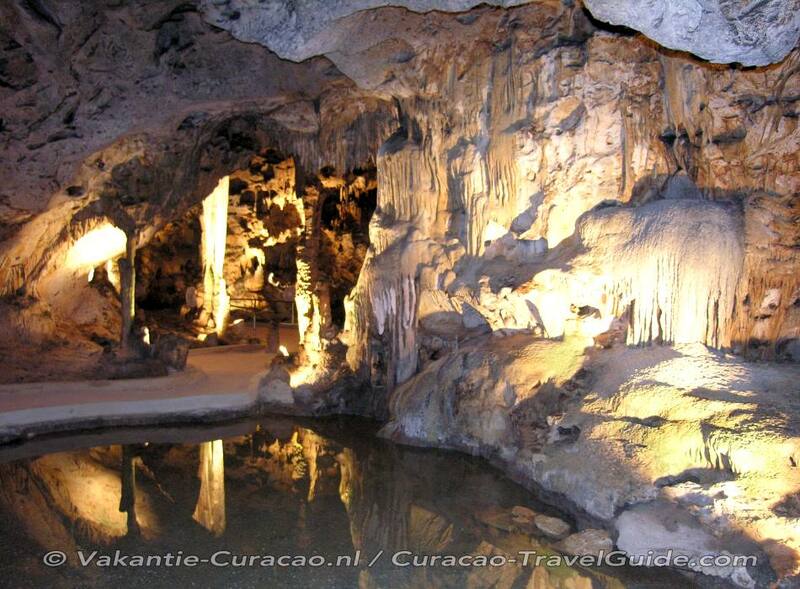 The caves are north of Willemstad on the Roosevelt Weg ('weg' is 'street' or 'road' in Dutch), near the airport. 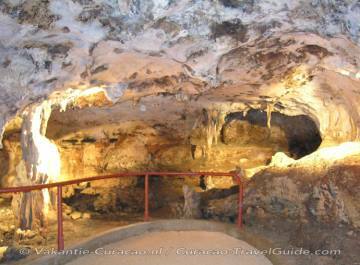 Multi-lingual tours are given on the hour from 9am to 4pm.